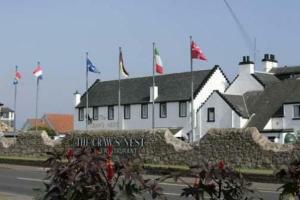 Choose from 33 hotels and guest houses in Fife. Shown below a just a selection of the hotels available. To search within an area please use the menu on the right. With its unique location on the famous golf course, the luxurious Kohler Waters Spa, luxury dining and the highest attention to detail, this award-winning 5-star resort is the ultimate hotel experience. The Old Course Hotel, Golf Resort & Spa features lavish rooms and suites, many designed by star French designer Jacques Garcia. Enjoy rich red colours, silk-lined walls, private balconies, Kohler bathroom products and beautiful views of The Old Course and St. Andrews. From gourmet experiences in the Road Hole (3 AA Rosette restaurant), to award-winning afternoon teas, The Old Course Hotel has bars and restaurants to suit all. Try the Sands Grill for relaxed dining, or The Jigger Inn, loved by the many celebrities who visit. Guests get free access to Kohler Waters Spa, the first of its kind outside the USA. It has the highest levels of luxury care and treatments, including the 'Cooler-Near-The-Sea' and 'Hyrdro Rush' treatments. With 20-metre pool, relaxation area and rooftop hot tub, this is spa heaven. There are 11 golf courses around the hotel, including its own championship course, The Duke's. This family-run budget hotel is conveniently located close to Edinburgh and next to the Forth Road Bridge and the Forth Rail Bridge; Roysth is only a few minutes away. The hotel is close to the ferry terminal and is only 500 metres or so from Inverkeithing station. A bus runs regularly between the station and Edinburgh Airport. Trains also run frequently to the city of Edinburgh itself. 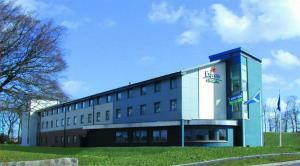 Kinross is only 20 minutes away, making the hotel a great base for those attending the T in the Park music festival. As reflected in the price, the hotel's rooms are not large. 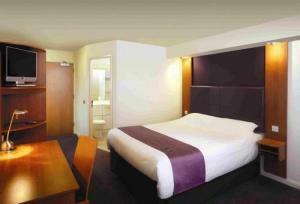 However, all of the rooms are en suite and comfortable. Free Wi-Fi wireless internet access is available in the hotel's public areas and there is a large car park, in which guests are welcome to leave their cars while on holiday. This non-smoking Victorian town house hotel is privately run by Jim and Doreen, offering ample private parking and situated in a quiet residential area, within walking distance of central Dunfermline. There is easy access to the M90 motorway, 22.5 km (14 miles) from Edinburgh, central for Stirling, Perth and Glasgow. The rooms are comfortable, the welcome is warm and the food is superb, freshly cooked using fresh local produce. A lounge, with bar, is complemented by a dining room. Jim and Doreen aim to ensure you have a very comfortable stay that will encourage you to return as a regular guest. Dating from 1795, this traditional, elegant Georgian terraced house hotel rests in the heart of historic St Andrews. The hotel is ideally located for exploring the castle and cathedral, the picturesque university buildings scattered throughout town and the quaint shops of centre. The famous Old Course is within easy walking distance. Enjoy a continental or full Scottish cooked breakfast in the pleasant restaurant, which has patio doors opening out onto a delightful landscaped garden and patio. The cosy residents bar and lounge has an inviting log fire, lots of books to browse and a wide choice of malt whiskies, aperitifs and liqueurs. The attractive beer garden and patio are ideal for relaxing in fine weather. In the heart of Inverkeithing, just a few hundred metres from the train station, this charming bed and breakfast offers light, airy rooms, free Wi-Fi and free secure off-street parking. Originally built in 1936, the Inglewood Bed & Breakfast is a comfortable family home offering bright, attractive accommodation in 3 twin bedrooms. Two rooms have en suite facilities and one has private bathroom facilities outside the room. All of the clean, comfortable rooms are decorated and furnished to an excellent standard. Each room has a TV, a DVD player and tea/coffee making facilities. A full, traditional cooked Scottish breakfast is served in the light, spacious dining room. There is an outdoor children's play area in the garden. The station is just a 5-minute walk away and the bus stop is only a minute from the front door. The M90 motorway is less than a mile (1.6 km) away and Edinburgh is just 12 miles (19 km) from Inverkeithing. 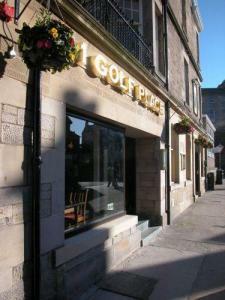 1 Golf Place is very close to the famous St Andrews Old Course, and close to the beach. The busy, small hotel provides personal, professional service. Local services are within easy walking distance and ample parking is very close by. Food is served from 08:00 until 22:00. Golf packages are available at the hotel. Balcomie Links is a friendly, family run small hotel, situated on the outskirts of Crail near St Andrew's. In Fife's famous and sheltered East Neuk, this is one of the sunniest corners on the East Coast of Scotland. The hotel is an ideal base to explore the area which is enriched in history with beautiful coastal villages and scenic walks, beaches, castles, museums, attractions, and made famous for its golfing as the "Home of Golf ". 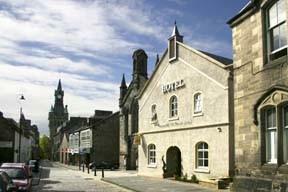 The hotel is equally well suited for the visiting business executive or the tourist exploring the old kingdom of Fife. This popular business hotel is located on the east side of town, with its top floor bedrooms having been enhanced. A comfortable, modern hotel on the outskirts of Scotland's ancient capital, The King Malcolm is only 15 miles from the shopping, entertainment and commercial heart of Edinburgh, with its famous golf courses, including St. Andrew's, and attractive fishing villages. Close to numerous golf courses and lochs for fishing, this family-run hotel is ideally set within walking distance of the Firth of Forth coast and coastal path ways. Fife is a popular vacation place for golfers and nature lovers, and it's a paradise for cyclists. Many of Fife's top attractions can be seen along the beautiful cycle ways, which run as far as St. Andrews. After your long journey to see the area's attractions, you can relax in the comfort of the hotel, which features 2 beer gardens, one with a large fish pond and both with seating areas. The Balgeddie House Hotel is situated in an elevated position in the Balgeddie area of North Glenrothes and is easily reached from all directions. The hotel, orginally built in 1923 as a private family home, has now been extended and sympathetically refurbished; It maintains an oak panelled Cocktail Bar and period features which were typical of such a grand house. The hotel is set in its own extensive grounds, with views over the formal front lawn and landscaped gardens. A 15th-century coaching inn with oak beams and a winter log fire, the Talbot Hotel offers en suite rooms, modern facilities, free parking, free Wi-Fi and excellent food. 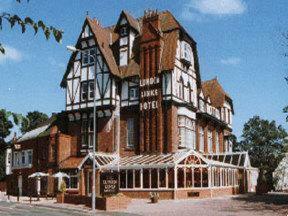 The Best Western Talbot Hotel is in the centre of the historic market town of Leominster. It is a popular base for those touring the Herefordshire countryside and villages. 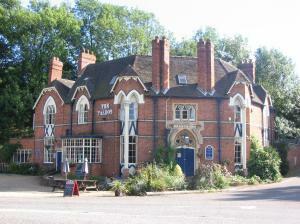 The Talbot serves lunch and dinner every day in both its bar and restaurant. The bar selection has daily chef specials and a traditional 'Roast of the Day', including famous Herefordshire beef. The Berrington Restaurant offers 3-course table d'h?te menus and a full ? la carte selection, using fresh, local ingredients. A fine example of Victorian architecture, this charming, family-run house provides an array of beautiful rooms, from a traditional public bar to a modern airy lounge and 3 contrasting restaurants. Relax in the comfortable public areas, complete with large settees and open log fires, before retiring to one of the 5 en suite guest rooms found upstairs, with stunning views of the surrounding countryside and the Talbot's own private stretch of river. The friendly and efficient staff at The Talbot pay close attention to every detail so as to ensure that no matter how long or short your visit, it will be a thoroughly pleasurable one. Five Pilmour Place is located close to the 18th green of the Old Course and a slow 2-minute walk from the heart of St Andrews. 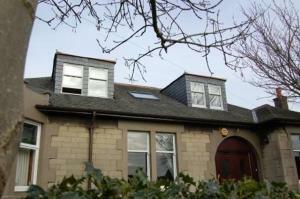 Five Pilmour Place is traditional and contemporary, comfortable and convenient. The luxurious, privately owned guest house has 6 en suite bedrooms, a spacious guest lounge and a dining room. Recently refurbished rooms are individual and tastefully decorated.